THE TWO KAOHSIUNG mayoral debates that took place on November 10th and yesterday, on November 19th, raise a number of questions going forward. 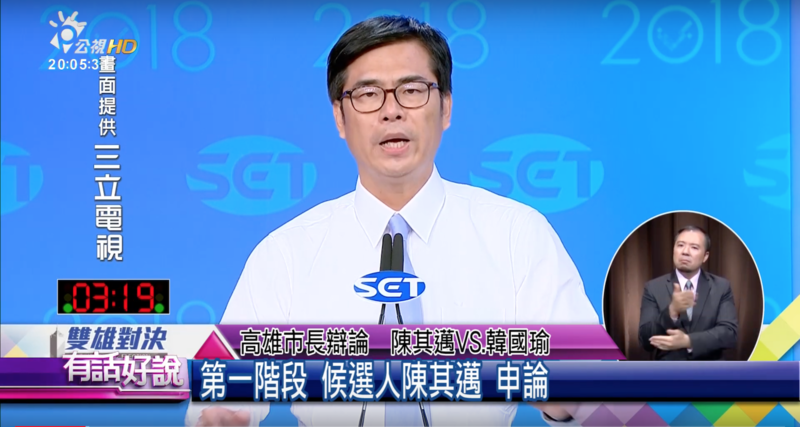 In particular, KMT mayoral candidate Han Kuo-yu did not perform as well as one would have expected in either debate and so it is to be seen whether the debate will negatively affect his election chances. On the other hand, it is also highly possible that Han voters will simply disregard Han’s debate performance. The first debate took the form of a round of opening statements, cross-examination of the candidates by a panel of election officials, and then closing statements. Four candidates participated in the first debate, including Han of the KMT, DPP candidate Chen Chi-mai, and independent candidates Chu Mei-feng, and Su Ying-gui. 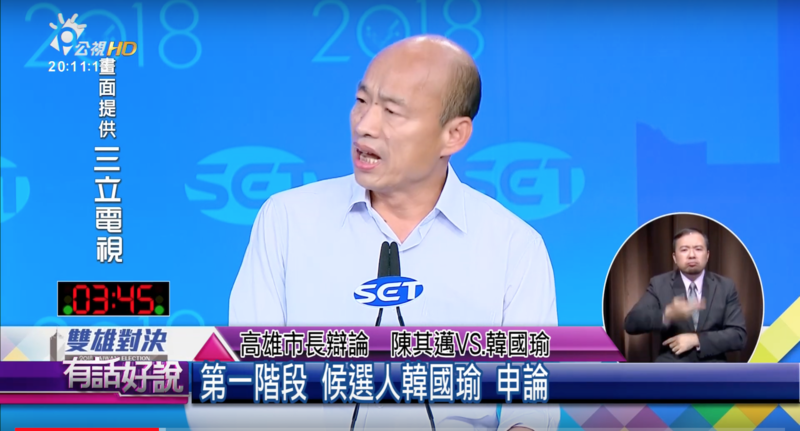 Unlike other mayoral debates in which independent candidates were mostly fringe candidates, Chu and Su were skilled debaters—particularly the former—if still unlikely to win the mayoral election. DPP candidate Chen Chi-mai was the first to speak. He began with a weak opening but his performance improved as time went on. Chen seemed to acknowledge from the onset that he had been overshadowed in campaigning by Han, commenting that his assistant had suggested that he try and be more humorous in the debate, as Han usually is, but instead that he had decided to campaign as he usually does on the basis of facts. Chen’s opening statement was primarily an attack on Han, calling attention to the numerous unrealistic promises made by Han as ways to change Kaohsiung, including opening casinos in Kaohsiung, the Kaohsiung city government developing islands in the South China Seas, and raising the population of Kaohsiung to five million. Chen accused Han of not knowing about or even caring about traditional industries in Kaohsiung and called for building up Kaohsiung’s appeal to tourism on the basis of its specificities and traditional industries. Han, on the other hand, joked that his assistant had suggested that he try to be more serious, like Chen. Han claimed that the “entirety of the ethnic Chinese world” was focused on the Kaohsiung mayoral election and that while he had met many different people in Kaohsiung, not a single one was hopeful. 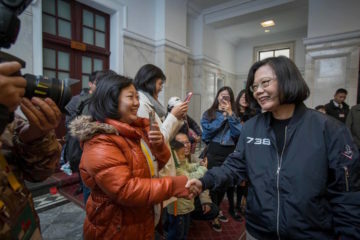 He again referred to Kaohsiung as a “sleeping giant”, which could rely on its harbor, farming industry, and fishing industry, to take care of its people and stated that he would make Kaohsiung “big” and “fun”, citing how Taiwanese often describe American cities. Chu Mei-feng, a former journalist and independent candidate who has been embroiled in a number of scandals, controversies, and has a history of ties to the deep Blue camp, was nonetheless very articulate throughout the debate. 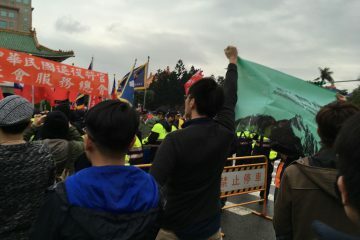 Chu claimed to stand on the side of everyday people and criticized both major parties in Taiwan as standing on the side of large conglomerates instead of the people. 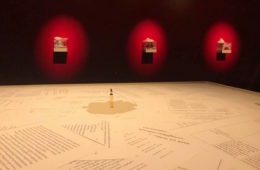 Su Ying-gui, a sociology professor and essayist, made similar criticisms of both political parties and criticized them for wasting money and resources, although he had a tendency to rant in his comments or to repetitively cite past essays of his. Questions from panelists focused on Kaohsiung’s economy, uneven distribution of resources, its growing aging population, increasing impoverishment among young people, how to develop participatory channels of political participation for city residents, and to what extent that panelists formulated their policies based on hard statistics, rather than just slogans. 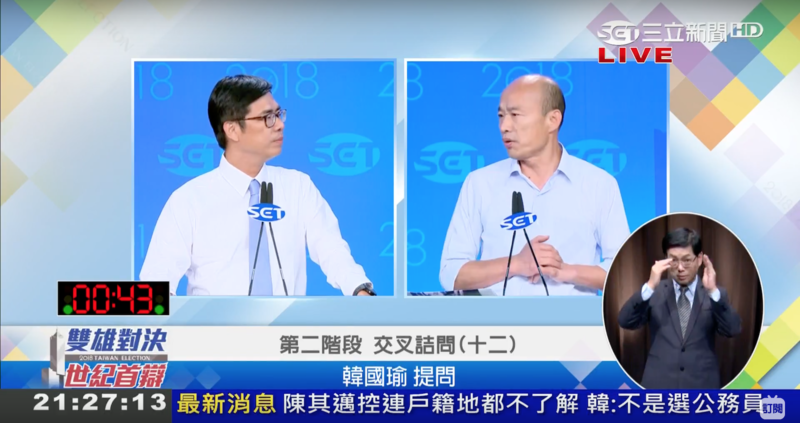 It is probably during the Q-and-A that Chen Chi-mai’s showing in the debate became stronger, seeing as Chen displayed a detailed knowledge of the city, its geography, statistics about the city, and concrete policy proposals which none of the other candidates were able to produce. This was quite visible with regards to Han, who would also be criticized by Chu for mostly stating slogans, without offering any concrete policy. Chen stated that he hoped to develop Kaohsiung’s economy using its status as a transportation hub, given its harbor and railroads, to attract international companies on this basis because it is possible to conduct trade by sea with other parts of Asia in a matter of days, and that he hoped to make Kaohsiung further attractive to international companies through urban planning. With regards to care for Kaohsiung’s elderly population, Chen stated that he hoped to develop Kaohsiung’s medical industry by making it attractive enough to lure and retain talent. Chen also said that he was not arrogant enough to claim that he would be able raise salaries for young people, but that like other city governments, the Kaohsiung city government could offer subsidies to young people. Moreover, Chen asserted that oversight committees could serve as a means for public participation and that he had a policy within his team to set short-term benchmarks to develop talent among those working underneath him, in order to have the best mayoral administration. 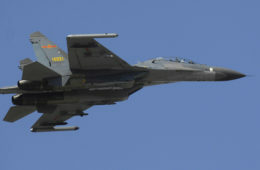 Chen also stated that he would not set lofty ten-year-plans then fail to achieve any of them, but instead, have shorter-term benchmarks updated over time. 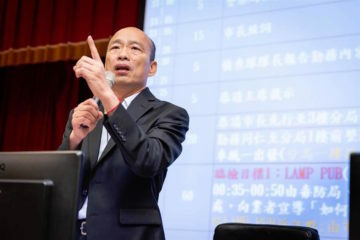 Contrastingly, Han stuck to generalities, stating that city residents not trusting their government as the basic issue of what is wrong with Kaohsiung, and stating that Kaohsiung’s issues returned to the fundamental fact that it lacked money. 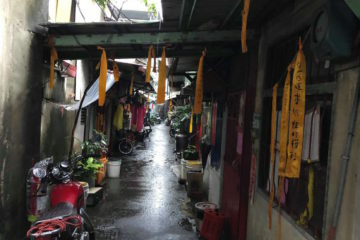 Han told an anecdote about a poor widow to make a point about Kaohsiung’s poverty and suggested developing a policy for young people to move into empty rooms in old people’s houses could alleviate the loneliness of the elderly, take care of them, and in turn allow young people to be provided with housing. In line with Han’s tendency to tout his achievements as a businessman in his campaign, Han stated that one had to look at Kaohsiung’s economy from the perspective of whether Kaohsiung was attractive to an investor. But Han did not spell out what he intended to do to make Kaohsiung attractive except for claiming that others had not thought to look at Kaohsiung from the perspective of a prospective investor. Han also commented that questions regarding the economy or deliberative democracy were “complicated” for him. In the closing comments, Han presented a weak front. Han did not initially seem to know how to close, and erred by deciding, in the end, to double down on unrealistic, even bizarre campaign promises. 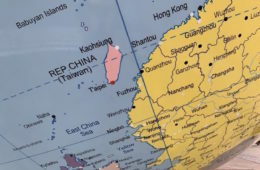 Han defended his proposal for the Kaohsiung government to develop South China Seas islands by stating that this would be possible so long as the Taiwanese central government and surrounding countries agreed to this, and tried to defend himself against the claim that he did not know Kaohsiung very well in terms of knowledge, statistics, or geography as a newcomer to the city. 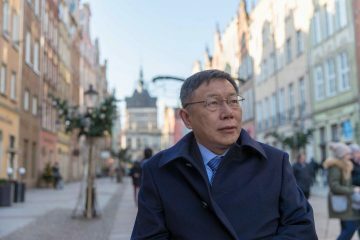 Han also returned to his tendency to use anecdotes and platitudes by claiming that group of farmers had knelt before him and begged him to save the economy of the city, saying that the city must stand up and that a good mayor must either take responsibility or walk away. 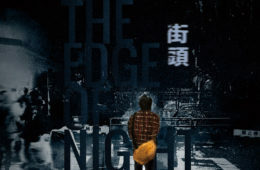 Whereas Chen’s opening comments had been highly passive in the beginning of the debate, he closed by going on the offensive, citing that Kaohsiung was his home, that he had resided there for two decades when others had left the city, and that Kaohsiung was to him, a mother. This would be a way of turning Han’s discourse regarding Kaohsiung’s “northern drift” against him, Chen criticizing Han for parachuting into Kaohsiung to run as a candidate in the last two years. Chen further stated that Kaohsiung was the result of the shared efforts of its people and so that efforts to develop the city should focus on traditional industries, criticizing Chen’s lack of not only concrete plans for most issues, and that his only solution to save Kaohsiung was think about money or making it a place of cheap pleasures. Likewise, Chen raised the unrealistic nature of Han’s claims about developing the South China Seas, seeing as if this was possible, Ma Ying-Jeou would have long ago done so. 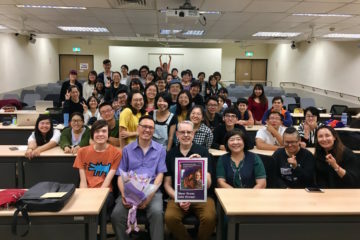 Chen then criticized Han for standing on the side of social conservatism, whereas he had stood on the side of progress inclusive of participation in student movements. Chen closed by citing his mentorship from Chen Chu, the highly popular last DPP mayor of Kaohsiung. During the second mayoral debate, only Chen and Han were present. This debate took the form of opening comments, extended rounds of quick exchanges between Chen and Han, and then closing comments. Han did not perform any better this time, again relying primarily on slogans and anecdotes. When asked about his plans for Kaohsiung, Han continued to offer a number of strange pipe dreams. Chen, still not exactly the best of public speakers, continued as before to be able to rattle off facts about Kaohsiung and policy proposals off the top of his head. But Chen’s performance had also markedly improved compared to the first debate, his successes in the first debate perhaps having emboldened him. Chen opened by attacking Han for being dismissive of Kaohsiung, emphasizing that he also had policies formulated at attracting tourists and promoting agricultural goods which were more than just empty slogans. Without accusing Han of specifically being behind false rumors directed against him, Chen also referenced accusations that his in-depth knowledge of statistics during the last debate was because he had a hidden earpiece, as a way of indirectly intimating that Han’s unexpectedly popularity might be because of Chinese election interference. Han agreed in his opening that he felt it was wrong that some of his followers had attacked Chen using false rumors, calling, for an open, fair, and inclusive election. 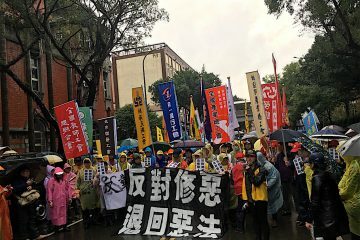 Han claimed that the DPP’s twenty years of rule over Kaohsiung had left the people disappointed and that contemporary Kaohsiung lacked employment opportunities. What was needed for Kaohsiung, then, was to meet the challenge of economic growth. In the subsequent rounds of exchanges that followed, Chen commented that in Han’s worldview, only the KMT could allow Kaohsiung to have economic growth but outside of asserting this, he had no statistics with which to back this up. Chen also emphasized the fact that he has spent decades living in Kaohsiung, stating that he had spent his youth in Kaohsiung, and that his roots were in Kaohsiung. Han’s response was to state that he could look up statistics anytime he wanted on his phone and reference that he had only been in Kaohsiung for one year as a justification for his lack of knowledge. 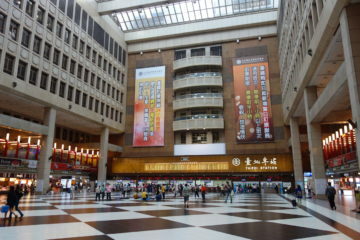 Han attacked Chen with claims that Kaohsiung residents were indebted, stating that tourism was necessary for the city. 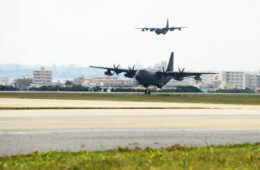 Chen responded to this by stating that this was true, and he was open to tourists of any nationality visiting Kaohsiung, but Han was fixated on Chinese tourists to the exclusion of all other countries. After Han began again to talk about the notion of enriching Kaohsiung through developing South China Seas islands, Chen attacked him for unrealistic notions including suggesting that it would be an easy matter to convince the international community to allow Kaohsiung to develop disputed territories as to South China Seas, to which Han offered a strange notion of working jointly together with America, China, and Japan for economic development. Chen followed up by attacking Han for fantastical notions such as raising the population of Kaohsiung from 2.77 million to 5 million in four years, as though such a massive influx of residents could be accomplished so quickly. In discussing the development of Kaohsiung, Chen also asked Han questions about the harbors in the Kaohsiung district he is living in. Han proved unable to answer these. Han also stated that as mayor, he would build a ferris wheel next to the Love River, pulling out a design from behind the podium, and claiming that this design had been brought to him by the head of the design department at Chung Yuan Christian University and five of his students. 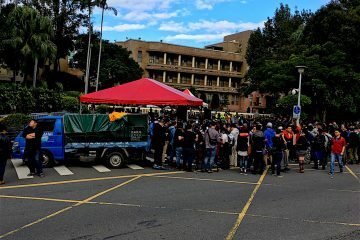 However, the head of Chung Yuan Christian University’s design department, Chen Qi-peng, who had been watching the debate on a livestream on Facebook, posted immediately on the livestream that this event described by Han had never taken place, joking that Han must have encountered a group of con artists. Han claimed after the debate that he had misspoken about who provided the design to him. Han continued to emphasize the need to sell things and build ties with the international world, though without offering specifics. Han attempted to shift the terrain of contestation several times, such as accusing Chen of failing to do enough to fight drugs. Chen also criticized Han for his focus entirely on vague economic plans and his lack of interest in any cultural policy. Han’s response, that he would recruit a competent cultural minister who was good at English—as English is an important language for culture—has become widely mocked on the Internet afterward. 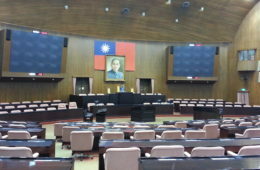 Chen having served for periods as acting mayor of Kaohsiung under Frank Hsieh, Han would accuse his administration of being corrupt. Chen stated that oversight was necessary for mayors and that he would demand oversight as mayor. In closing comments, Han attempted to paint Chen as an elite intellectual, claiming that “nobody understands what he says”. 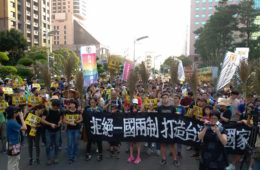 Han said that the everyday people of Kaohsiung were in low spirits and that what they needed was to make money, stating that it was important to rebuild faith in politicians and political parties from the people, that his campaign team was the team most connected with young people, and that that he would focus on southeast Asian development to benefit the economy. In Chen’s closing statement, Chen again lashed out at Han for his lack of any substantive political knowledge. Chen stated that he would work so that wealth from the finance industry could flow to other industries and told Han not to laugh at the pain of the Kaohsiung people or to simply summon up dreams of imagined prosperity. According to Chen, it was not the choice of Kaohsiung people for factories to be built there, which was what heavily polluted the city for decades, even as it was the city’s economy depended on. In terms of ability to offer concrete policy proposals for Kaohsiung, it is clear that Chen proved far stronger, given Chen demonstrating detailed knowledge of the city and Han displayed limited knowledge of the city, this having even led to the accusation that Chen was being fed information through an earpiece. However, in terms of rhetoric, public speaking ability, and political charisma, Han far overshadows Chen, who is decidedly less charismatic as a politician. And so it may resolve ultimately to a question of style versus substance with regards to how we evaluate who won the debate and who will win in upcoming elections. 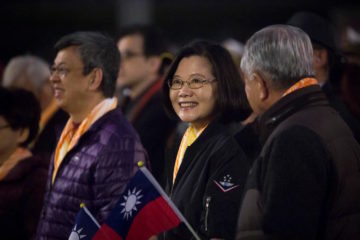 Many in Taiwanese society take the view that all bets are off, particularly as countries such as America, the Philippines, and elsewhere show a trend of strongmen leaders taking power even when they lack the basic policy knowledge that regular politicians have. 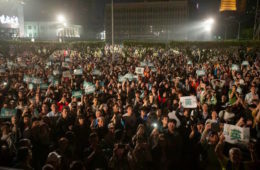 Campaign rallies for Chen and for Han have drawn reportedly upwards of 80,000 to 100,000, but neither side is visibly larger. The Han campaign continues to be heavily reliant on social media going into the last week before election day, producing video ads which aim to tug at the heartstrings of Kaohsiung residents by telling stories of impoverished young people forced to leave the city because of lack of economic opportunities. On the other hand, it is also possible that cracks are starting to appear in the Han campaign. 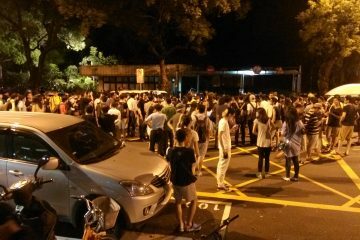 Namely, the gaffes made by Han in the course of the two debates have become in themselves an object of mockery online. Growing accusations that Chinese fake news is behind Han’s meteoric rise from comparative obscurity will increasingly affect views of Han going forward. 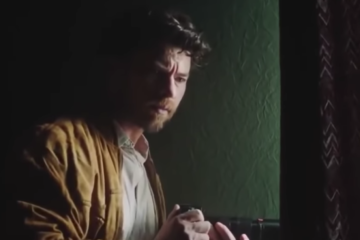 One also suspects that the Han campaign has perhaps overplayed itself in continuing to draw on hyperbolic sentimental narratives in its advertisements. For example, a recent campaign ad claimed that Han would resolve problems regarding Kaohsiung’s issues concerning the “northern drift”, purporting to be from a woman who was not able to return in time for her father’s last moments because she did not work in Kaohsiung at the time. Nonetheless, this was mocked online at because the ad would seem to suggest it is more important to return to vote for Han Kuo-yu rather than visit one’s dying parent. Online backlash actually forced the actress of the ad to eventually apologize for how it presented the issue. That Han has failed to disprove accusations that he is all style and no substance in both debates also goes to show that Han is no Ko Wen-Je. Ko, another politician prone to misspeaking, was able to easily shrug off both Pasuya Yao of the DPP and Ting Shou-chung and KMT in the Taipei mayoral debate, whereas Han did not win a clear victory over Chen Chi-mai in either debate, and definitely will have come off as far worse in the eyes of many voters. Talk that Han could potentially provide a new image to turn around the KMT is growing, as Han previously sought to run for KMT chair in 2016, but was unsuccessful in winning. 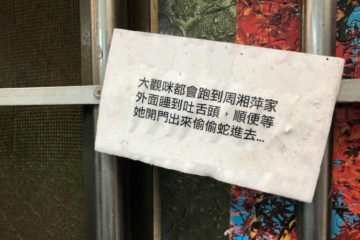 Even if this ends up taking place, Han’s inability to back up slogans with concrete facts may also come back to haunt him and the KMT in the long-term, with Han proving an ineffective chair. Very clear weaknesses have emerged from Han Kuo-yu and so it will be seen as to how this affects his mayoral run. A failed mayoral run could nip further political ambitions from Han. But this remains to be seen. A Coming Storm After The Passage Of Labor Law Changes?